CUP Girls and Boys players have been representing the club on the national scene over the last 12 months. Boys the girls and boys have been selected, through their quality of play, to participate in various national events and programming. In the last 12 months, the club has had 35 players invited to US Soccer Training Centers, 23 girls and 12 boys. The club has had more invitees than any other club in the area. Training Centers (TC) are conducted by members of the U.S. Soccer National Team staff. TCs are designed to improve player identification, player development, and coach development. In addition, the club has had 7 girls players invited to the Midwest Regional Combine for US Soccer. This combine brings together the top players from multiple US Soccer Training Centers for a weekend event. The event replicates a national team environment and aids in the selection of players for future national team camps. And, CUP has had 7 players selected to US Club Soccer's id2 National Camp. 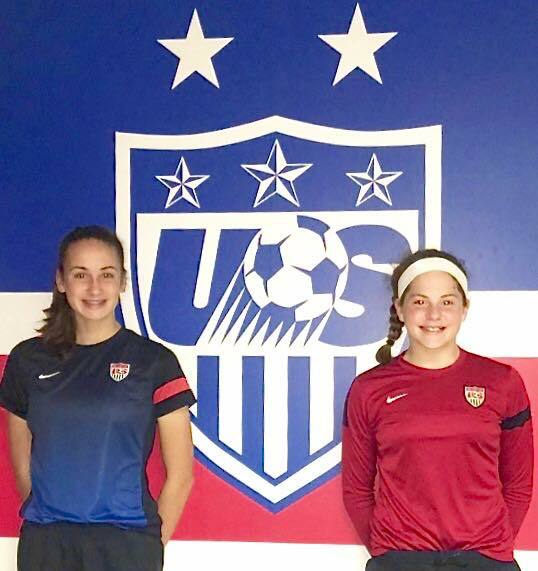 5 girls and 2 boys were selected to this camp that provides an opportunity for the country’s elite youth soccer players to be identified and developed, and scouted for inclusion in U.S. Soccer’s National Team programs.